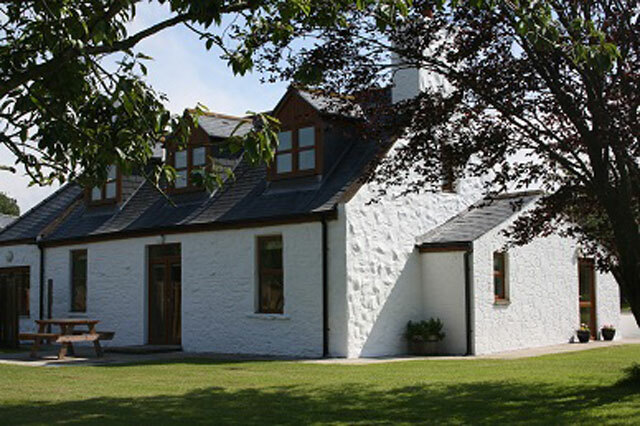 Drumfad Cottage is a traditional style property located just a few miles from the picturesque village of Port William. The property has been fully refurbished to a high standard, and tastefully furnished in a contemporary style. 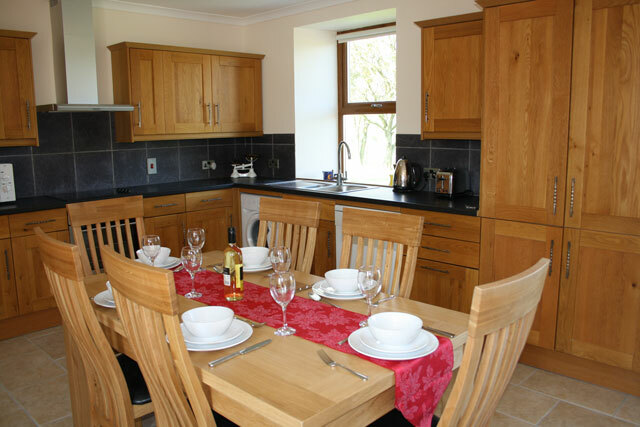 The location is ideal for a relaxing holiday and good base for exploring the Wigtonshire area. The property sleeps 4 however for a larger family or for a group; the neighboring property Drumfad Barn (sleeping 5) could be rented. During the refurbishment a ground source heat pump, was installed, giving guests at the cottage the benefit of under floor heating and hot water, 24 hours a day. 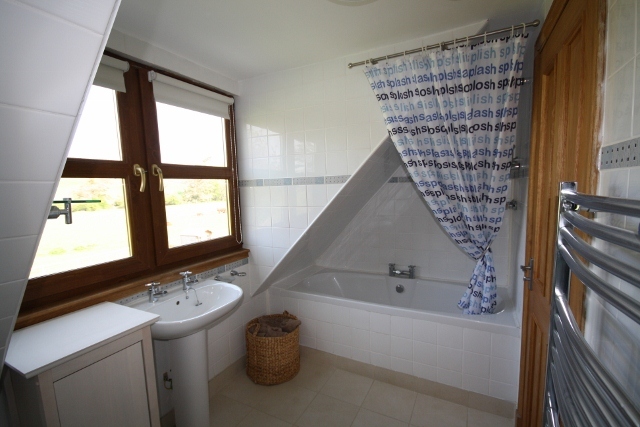 The accommodation comprises, on the ground floor, a large open plan living and kitchen area, and a small cloakroom. The living area has comfortable leather sofas, a large screen TV and a wood burner. The kitchen has all the usual appliances, see our facilities list below, and a dining table and seating for six. On the upper level there are two bedrooms and the main bathroom. 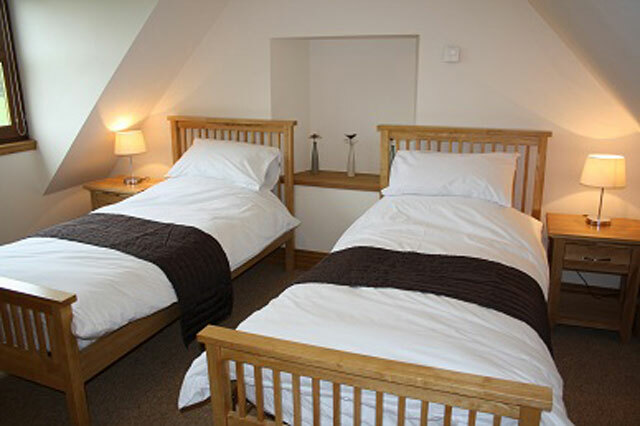 Both bedrooms, a double and a twin, are furnished to a high standard, and the owner has provided quality bed linen. Outside the cottage has an enclosed garden and patio area, and garden furniture and a barbecue are available. Spacious open plan living and kitchen area. 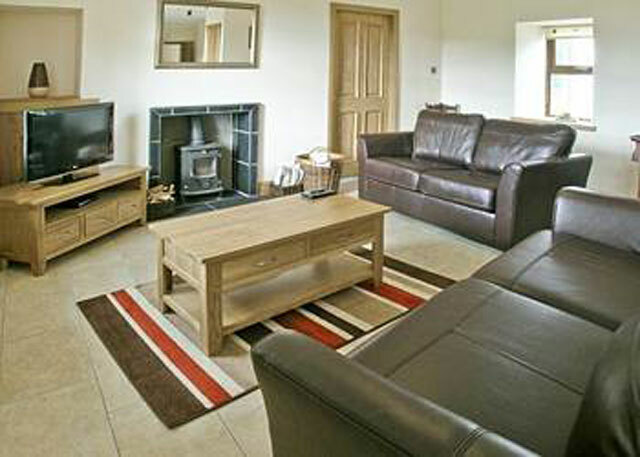 Living area, leather sofas, wood burner, TV with Freesat, DVD, Nintendo wii with games. Kitchen area, electric oven and hob, microwave, fridge/freezer, dishwasher, washing machine, and all the usual kitchen equipment. All electricity and heating costs, including under floor heating. Initial wood for the wood burner, extra can be purchased for £5.00 per bag from the owner. Selection of books and board games, Nintendo wii with games. Enclosed garden with patio area, garden furniture and barbecue. 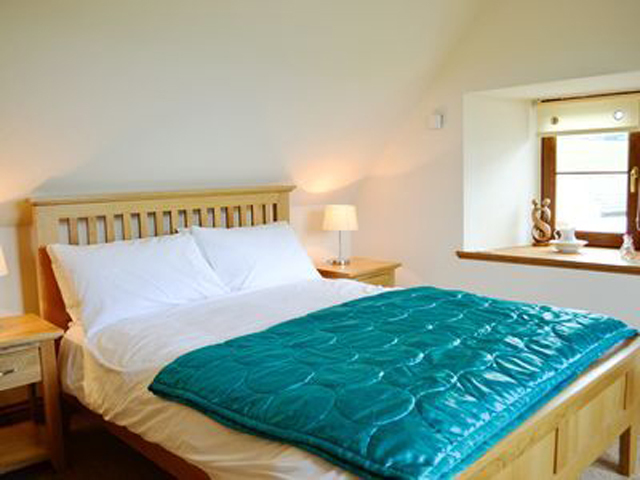 Two additional guests can be accommodated at the property with the use of the double sofa bed in the living area. Ideal location for a true Wilderness Cottage holiday. Village amenities within driving distance.